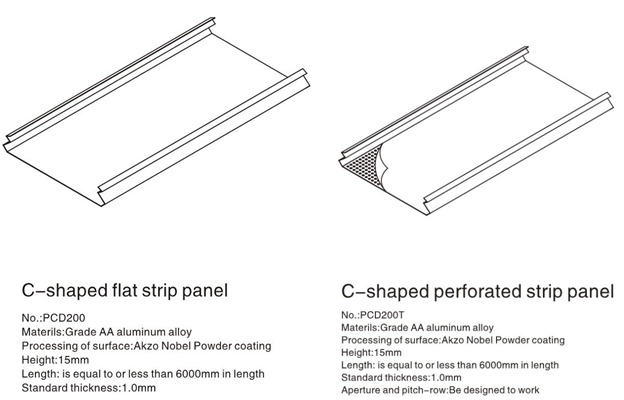 Suspended Metal Ceiling C shaped strip is with unique production technology, which is the superior product with professional mold design, even panel surface, distinct edges & lines, and clear & concise. All of these create a pleasant visual space. 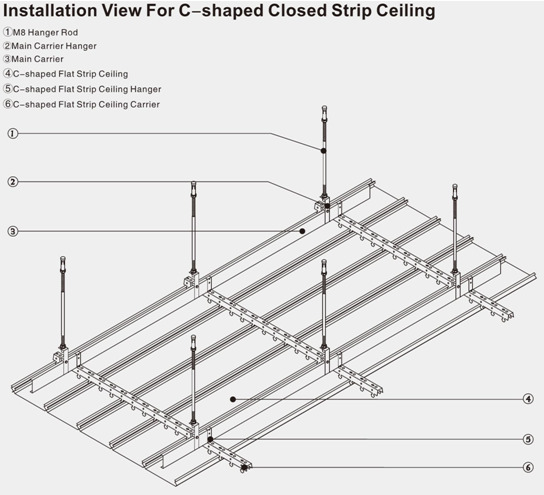 It has multiple accessibility options which are custom made to support the use of the C - shaped Closed Strip Ceiling. 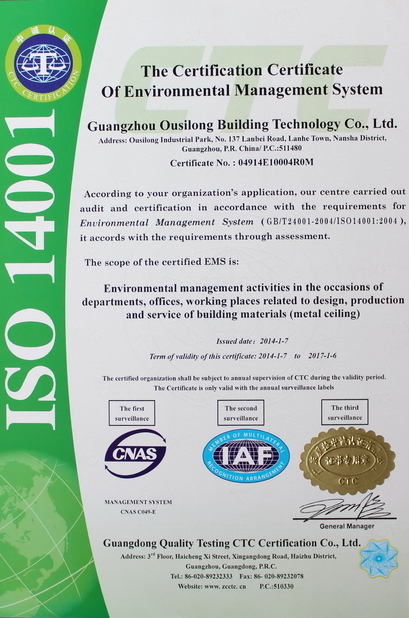 Industrial and civil buildings, special buildings, large span steel structure, interior wall decoration, exhibition halls, airports, stadiums, anti-corrosion of steel structures, oil platform, ships, chemical pipelines, airplane, bridges, partition panel etc. 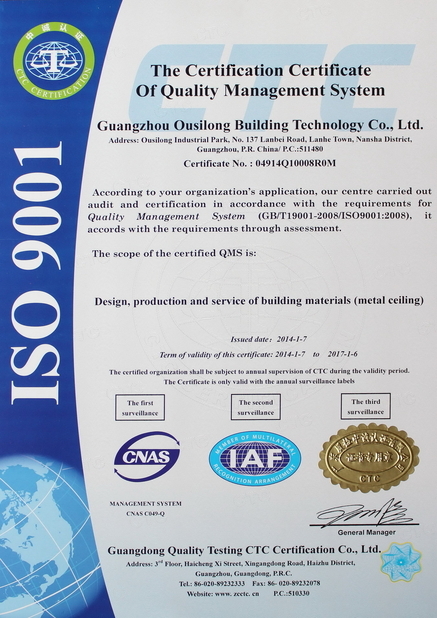 light, it does not require modification of the overall building structure.